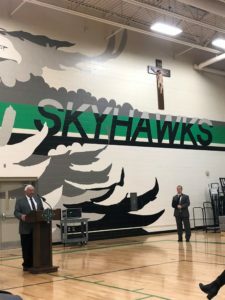 In May 2018 we told you about a project that Prairie Construction was starting at Skutt Catholic High School. 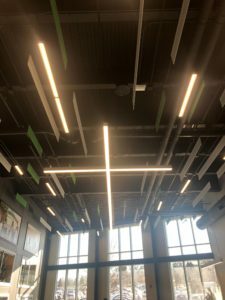 As the 2017/18 school year wrapped up, we started a 3500 square foot project that included a secure main school entrance and vestibule, an expanded lobby area, and additional office space. 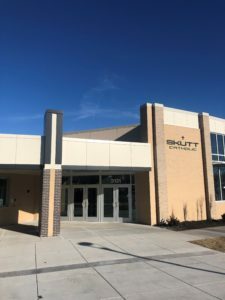 The students, faculty and staff of Skutt Catholic High School enjoyed the new space for the first semester of the 2018/19, and the Ken and Beverley Pohlman Welcoming Lobby, was officially dedicated on February 4, 2019. Prairie Construction was honored to be part of this special project.